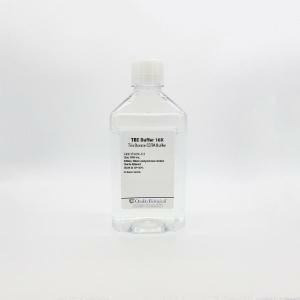 TBE (TRIS Borate EDTA) is often used in procedures involving nucleic acids, the most common being electrophoresis in molecular biology. 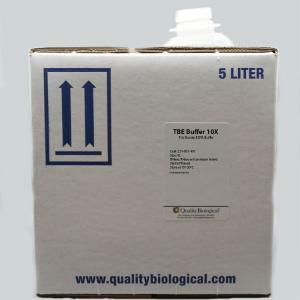 Tris-acid solutions are effective buffers for slightly basic conditions, which keep DNA deprotonated and soluble in water. EDTA is a chelator of divalent cations, particularly of magnesium (Mg2+). As these ions are necessary co-factors for many enzymes, including contaminant nucleases, the role of the EDTA is to protect the nucleic acids against enzymatic degradation. But Mg2+ is also a co-factor for many useful DNA-modifying enzymes such as restriction enzymes and DNA polymerases. 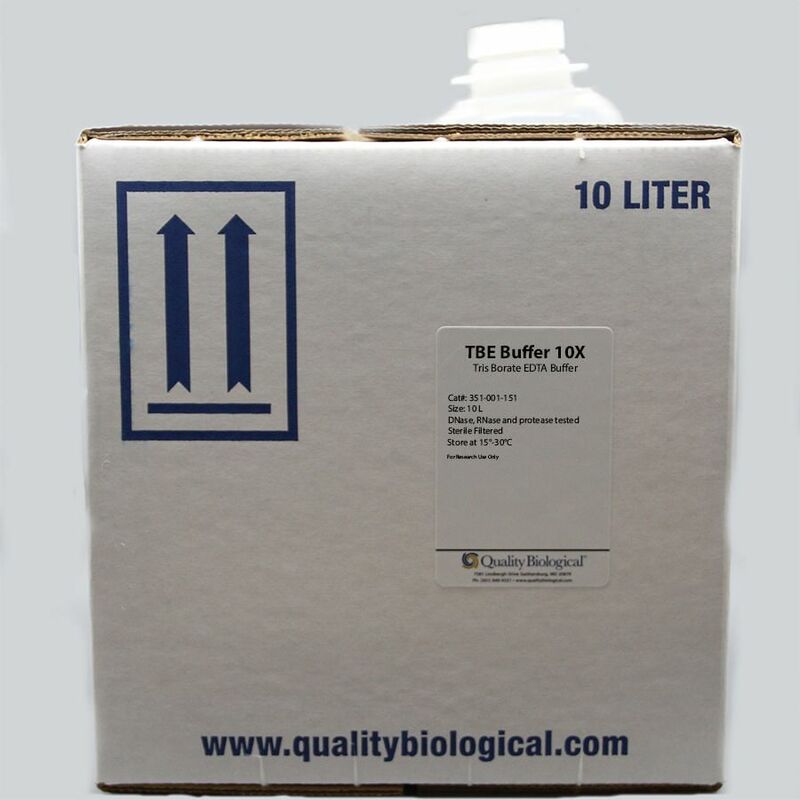 TBE Buffer, 1X is used for DNA electrophoresis. TBE Buffer, 0.5X is used for electrophoresis onto DEAE cellulose membrane. TBE Buffer, 2X is used for polyacrylamide and agarose electrophoresis. 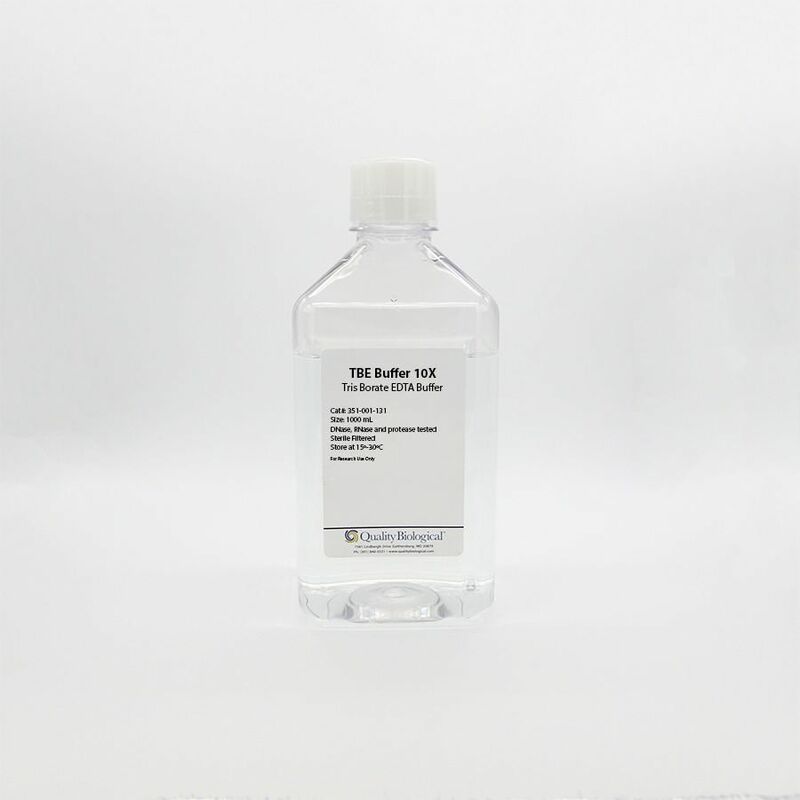 TBE is also used for other nucleic acid electrophoresis procedures such as Northern and Southern blots. Contents: Tris base, boric acid, disodium EDTA dihydrate, and molecular biology grade water. Certifications: Manufactured in an ISO 9001:2015 certifed company in accordance with ISO-14644 and IEST-RP-006.3; meeting standards for ISO Class 8 and ISO Class 7.